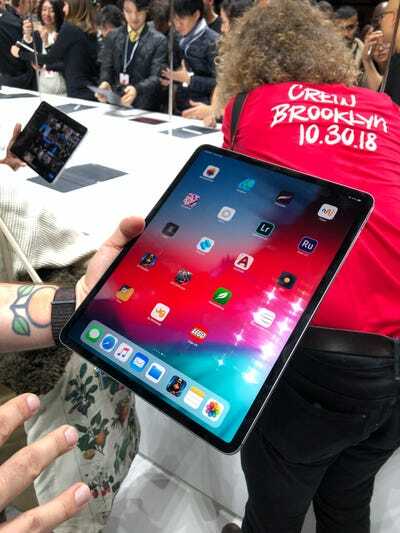 NEW YORK CITY – If you want an iPad, any iPad, you can buy a new one for $US329. 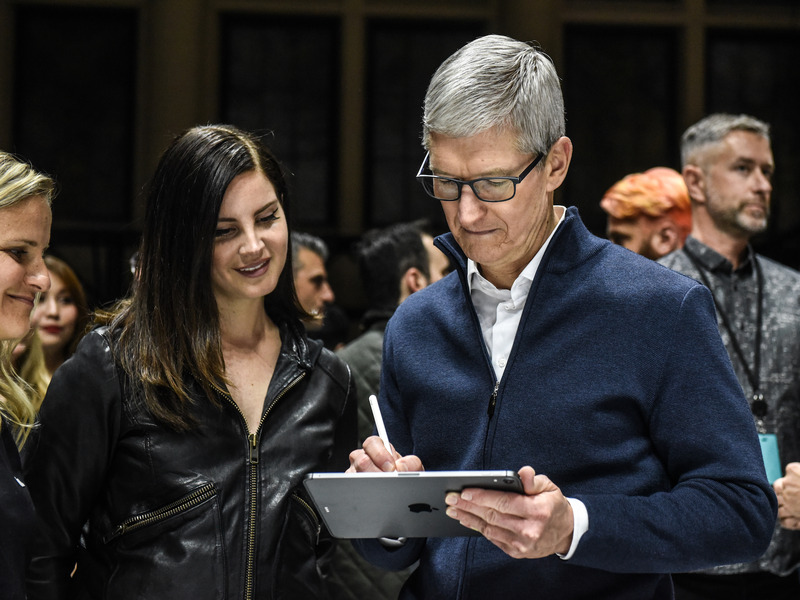 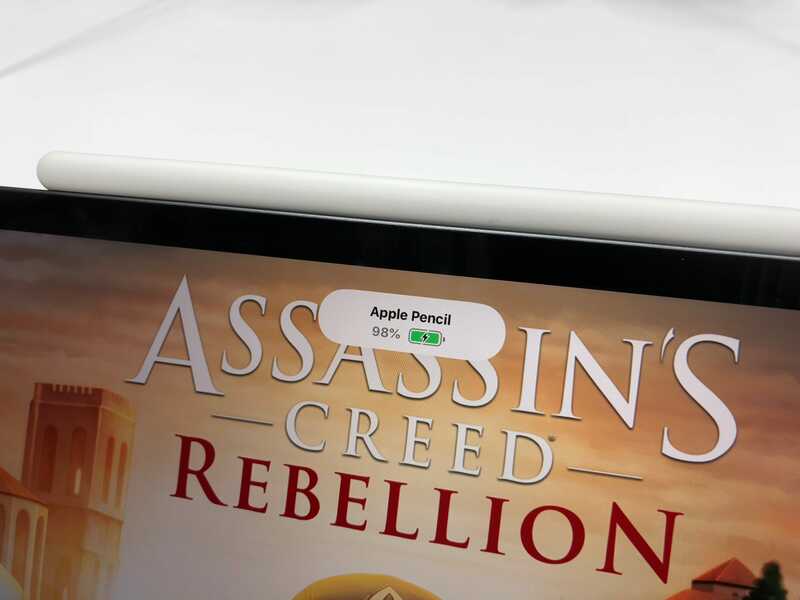 But if you plan to run Photoshop, play advanced games, or use Apple’s stylus, called Pencil, you’ll want the iPad Pro. 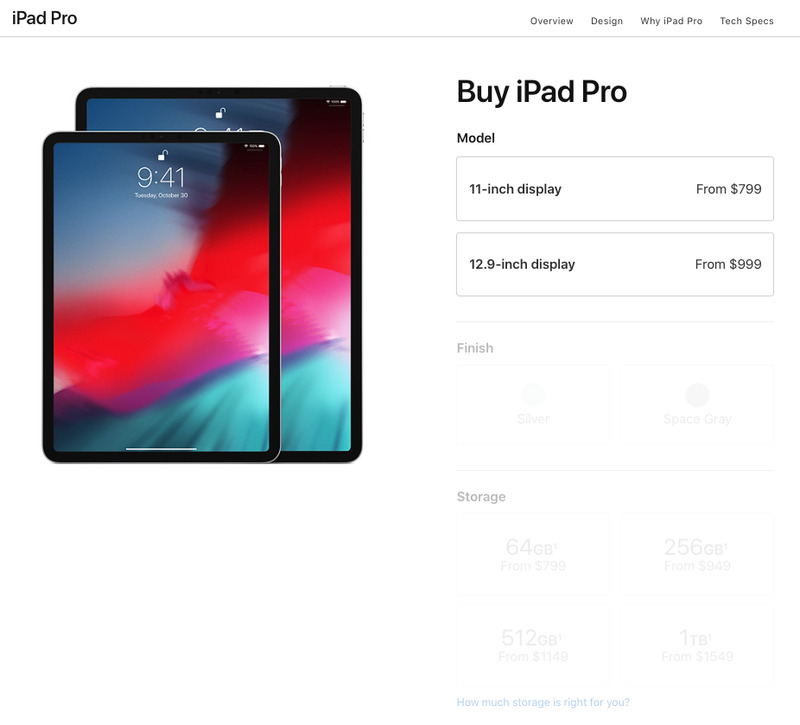 With these changes comes an increase in price: now, the smaller iPad Pro costs at least $US799. The bigger model starts at $US999. 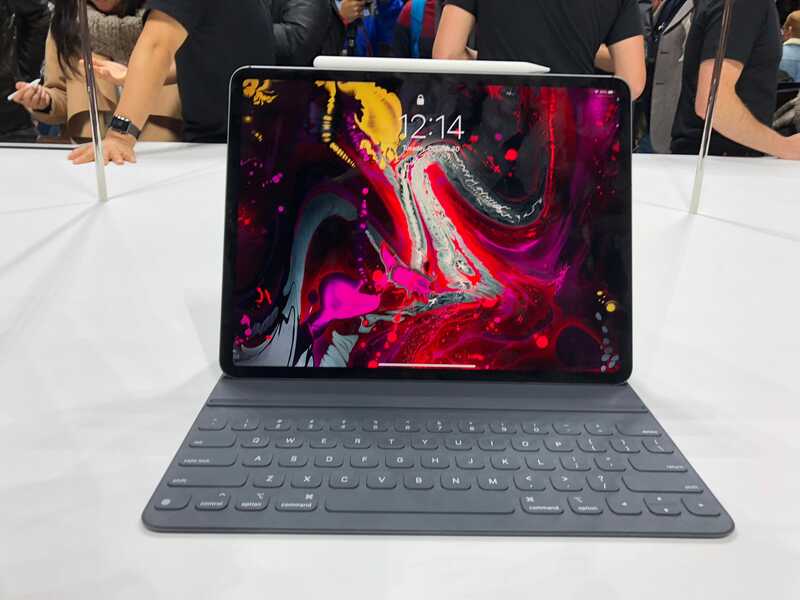 And that price can skyrocket if you get all the bells and whistles, including a new keyboard case, more storage space, and an LTE modem. 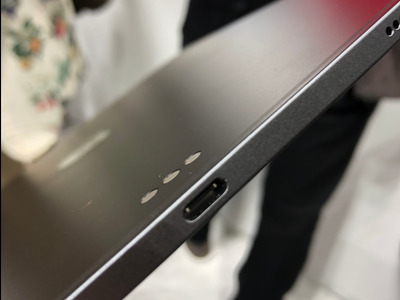 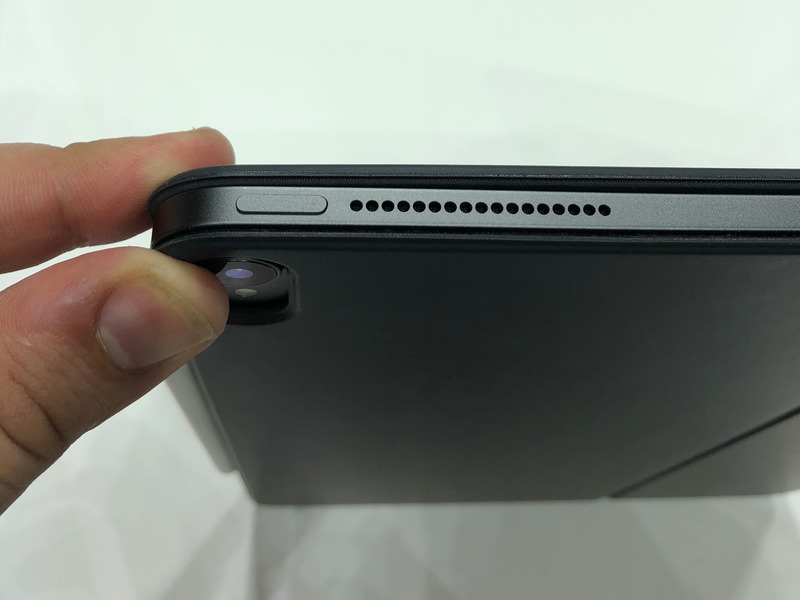 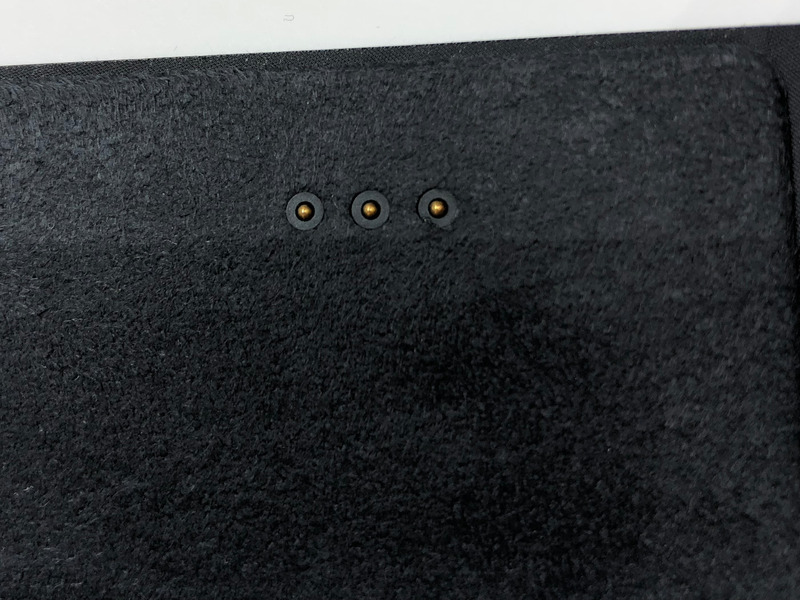 One final look at the new USB-C port. 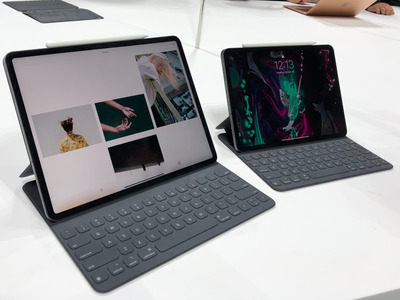 The bigger iPad Pro is probably too big to use comfortably as a tablet — it’s geared toward design professionals and those that really need a big screen. 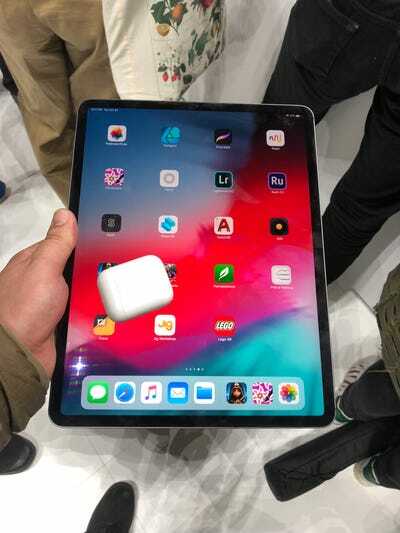 Here it is with AirPods for scale. You can pack a ton of content on its 12.9″ screen, though. 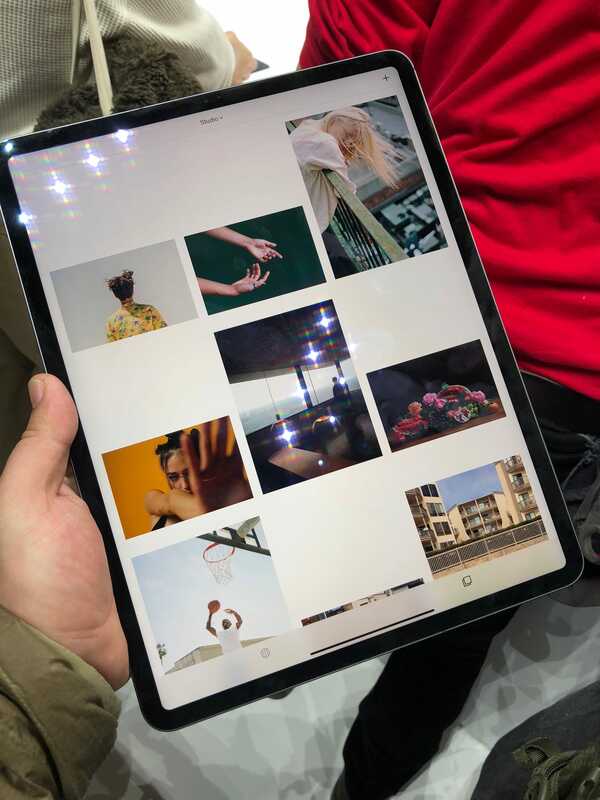 This is VSCO, a photo app. 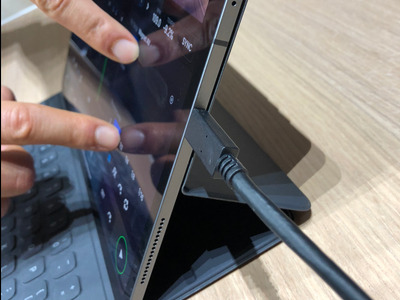 Here’s a bummer: There’s no longer a headphone jack on the iPad Pro, so you’ll have to get a USB-C to 3.5mm adaptor — different from recent iPhones — or use wireless headphones. The iPad has never looked more like a big iPhone. 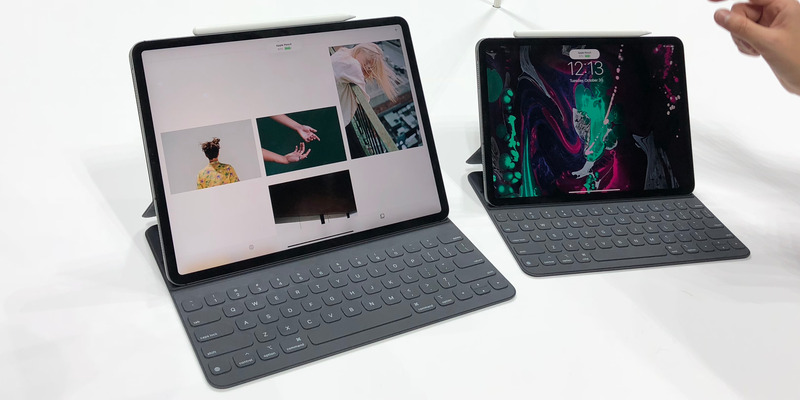 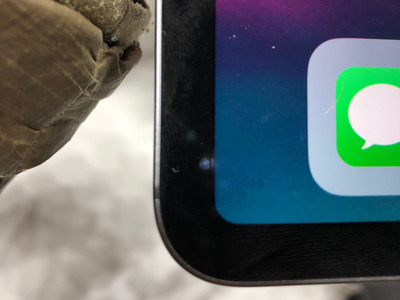 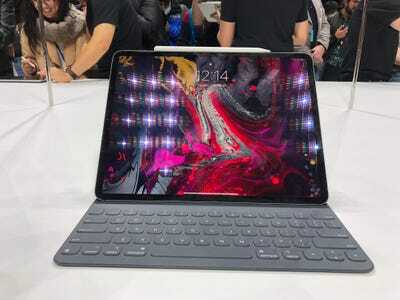 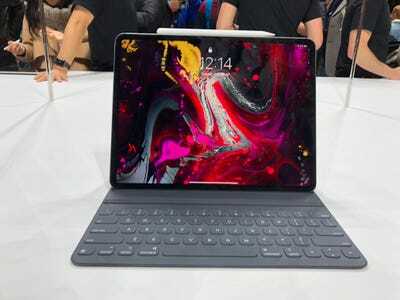 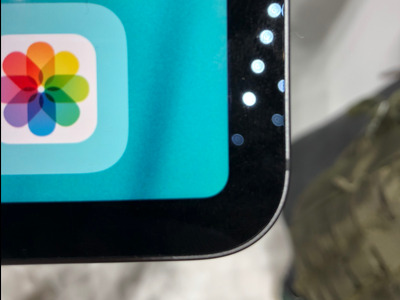 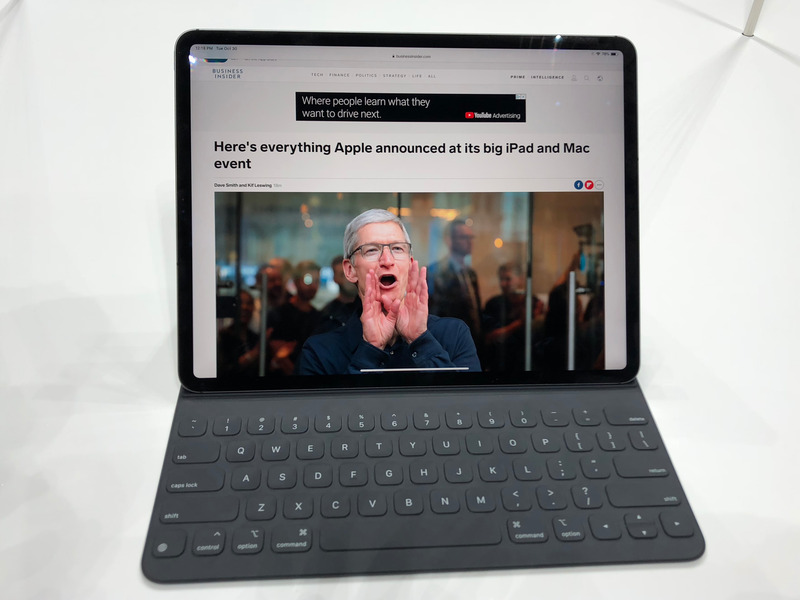 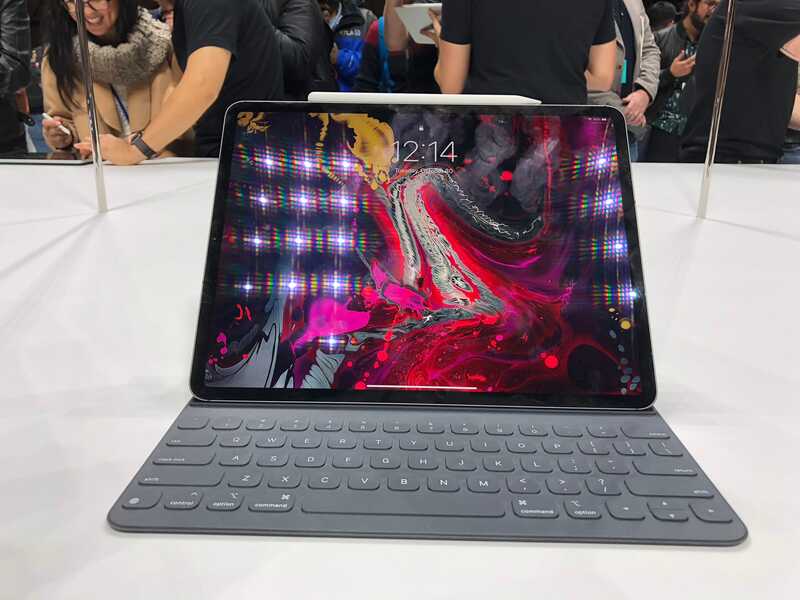 Face ID can unlock the iPad Pro even in landscape mode — which is good, because Apple’s updated Smart Keyboard Folio situates the tablet that way. 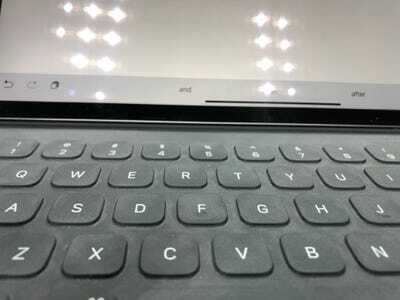 Apple’s keyboard case is greatly improved. 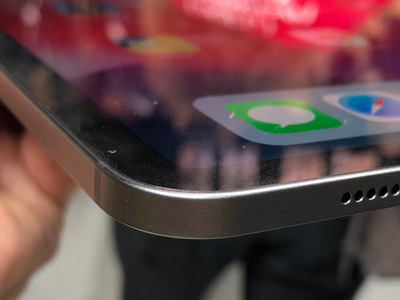 It lies much flatter than the previous generation. It snaps on with powerful magnets. 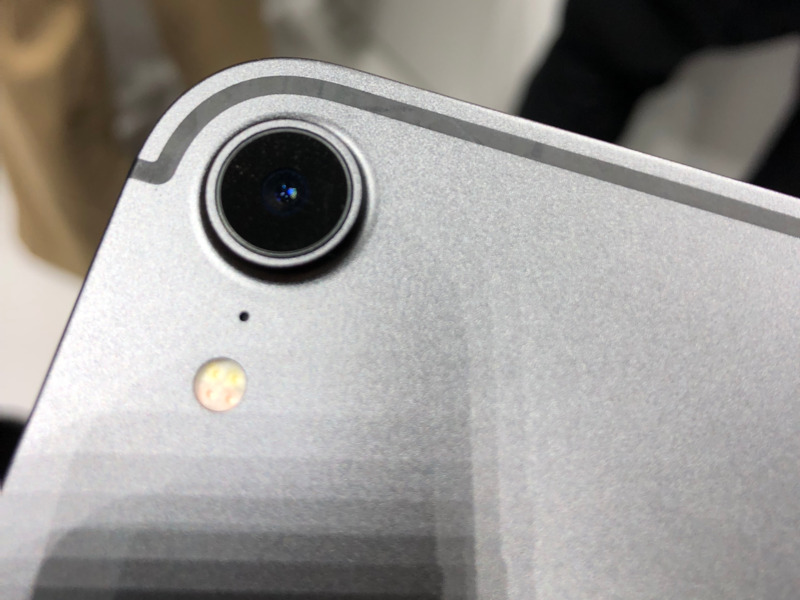 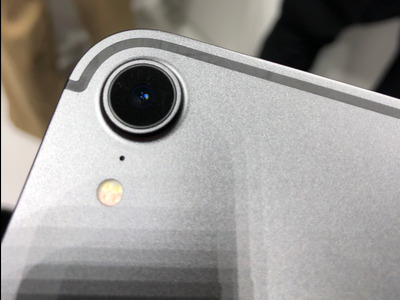 At the event, one Apple employee gave me this pro-tip: just line up the camera to put on the smart case. 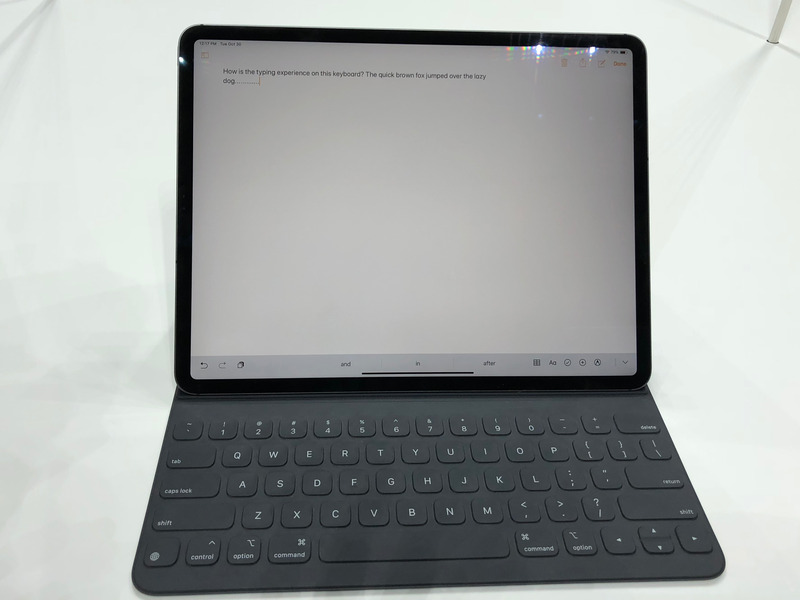 The typing experience is much improved, too. After about a minute of typing on the keyboard, I think it might actually be better than the MacBook. 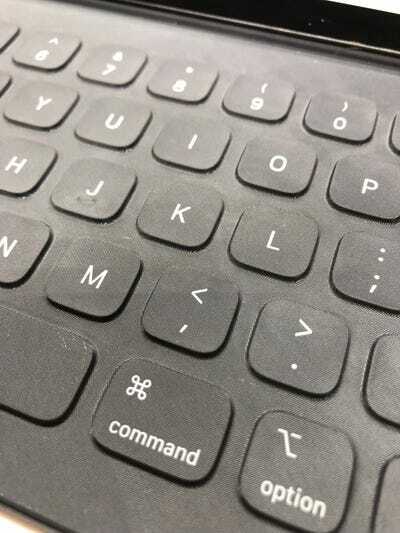 The keys travel and land with a satisfying thud. 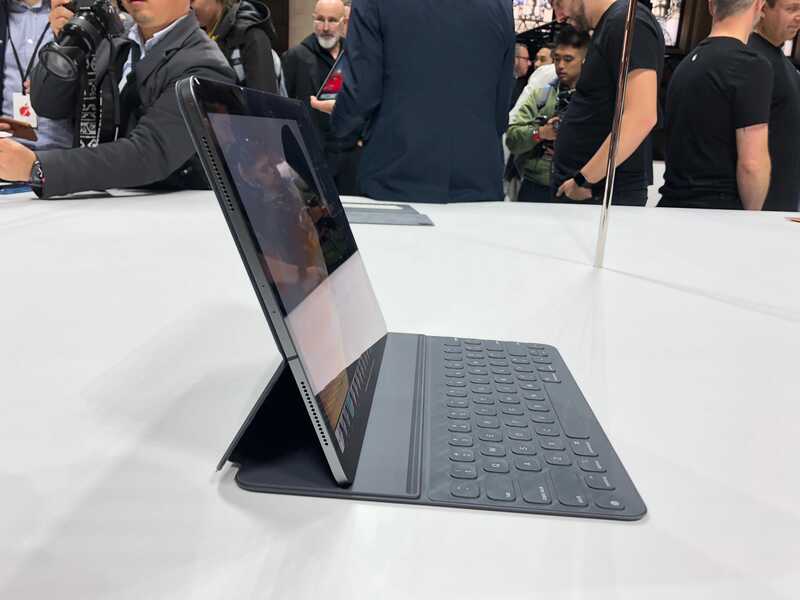 In this orientation, the iPad Pro stands nearly vertical, like a laptop. But there’s also a second setting that allows the tablet to lean back a little, for use on your lap. 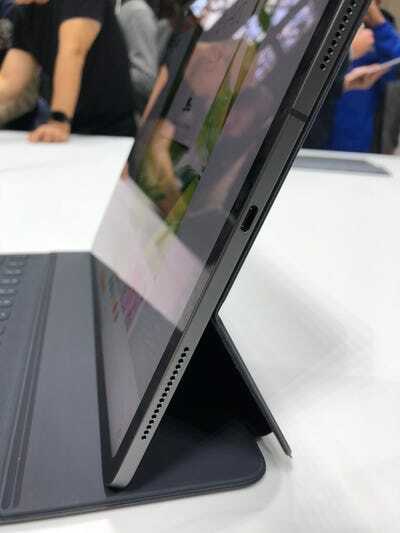 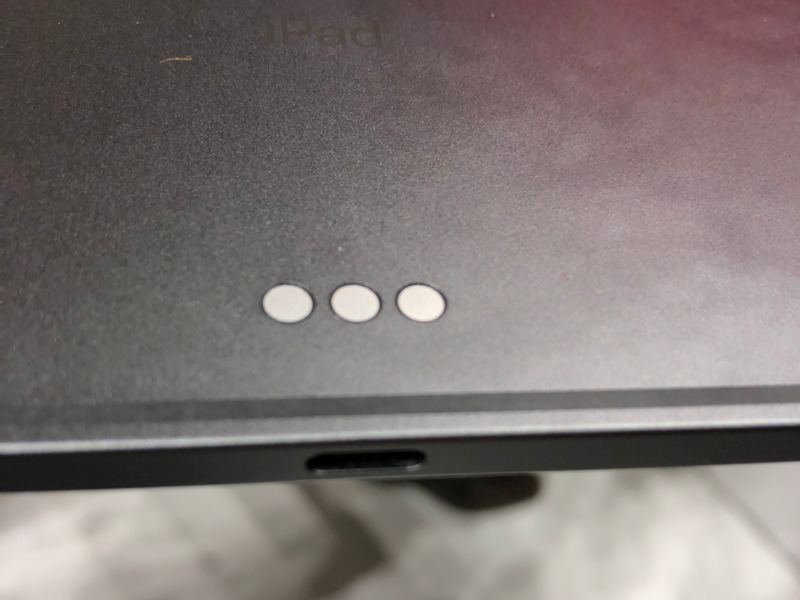 The magnets that keep the tablet in place are really strong — you’ll have to muscle them to remove your iPad from the case. A side view of the slouching position, for lap use. 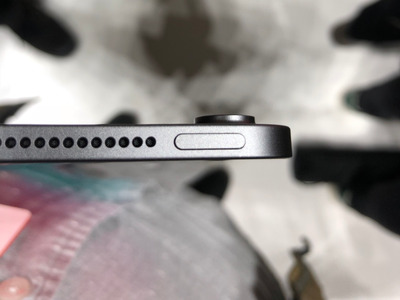 And the more upright position. 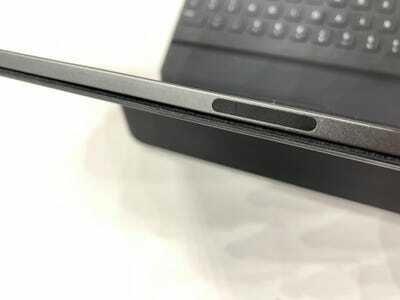 See how deep these keys are? 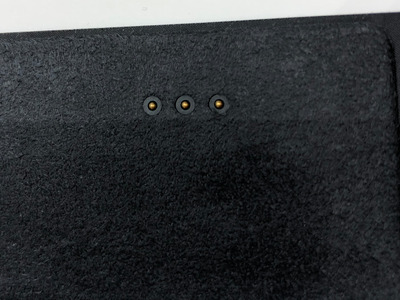 They’re also covered with some kind of textured cloth. 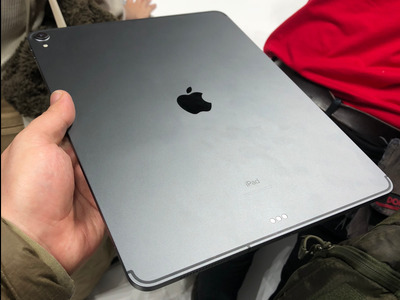 Only time will tell how well it holds up to daily use. 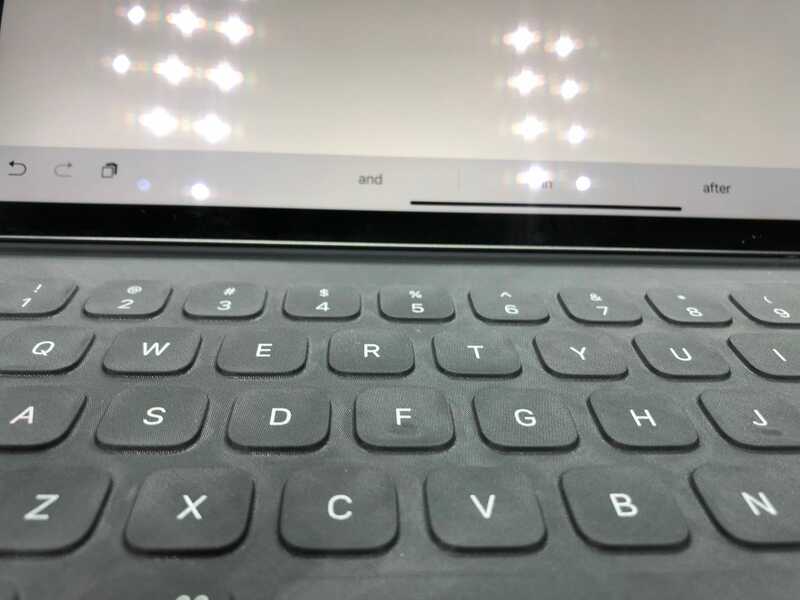 Another look at the keyboard. There’s no escape key, but there are arrows, and shortcuts like command+tab work on the iPad. 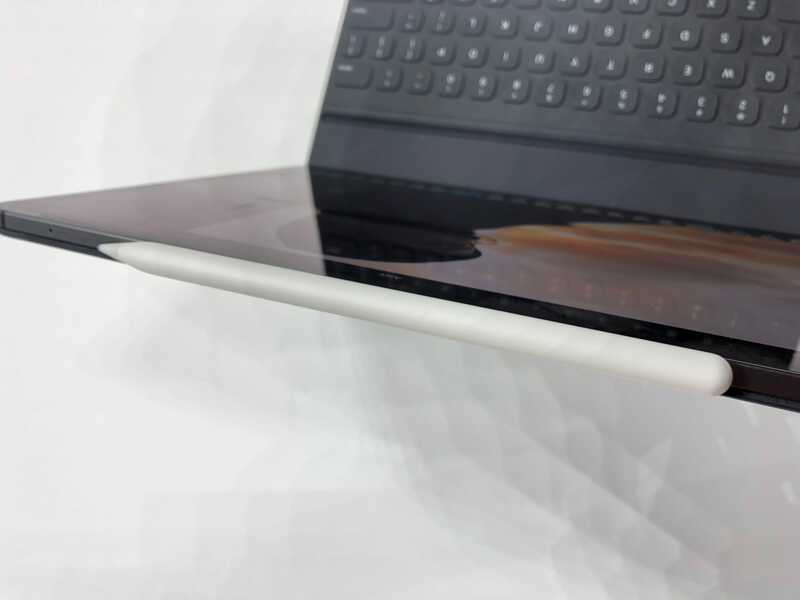 Here’s how the keyboard case “talks” to the iPad. 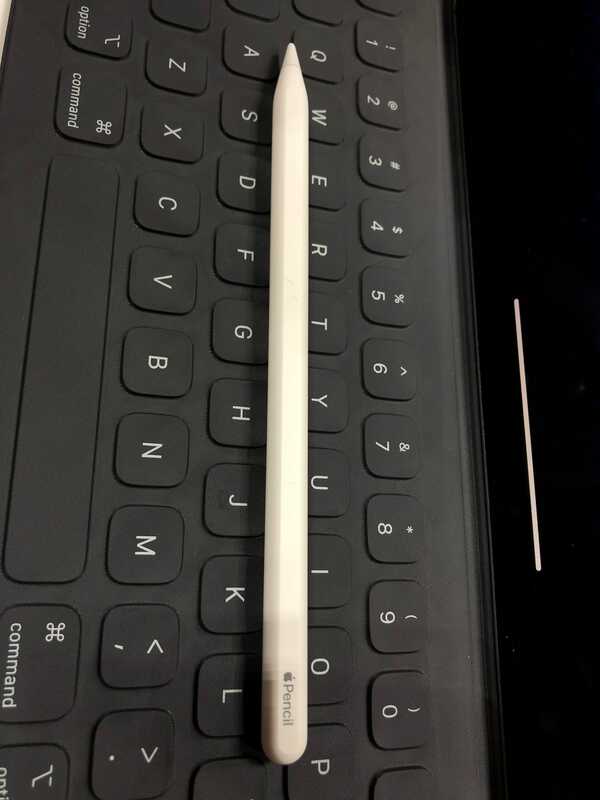 Apple’s stylus, Pencil, also got a huge update. This version is less shiny, has squared off edges, and lacks a lightning connector and its protective cap. I’m not very good at drawing, but you can clearly tell that the stylus has a lot of different levels of pressure sensitivity. Although the Pencil is now squared off, it still rolls. 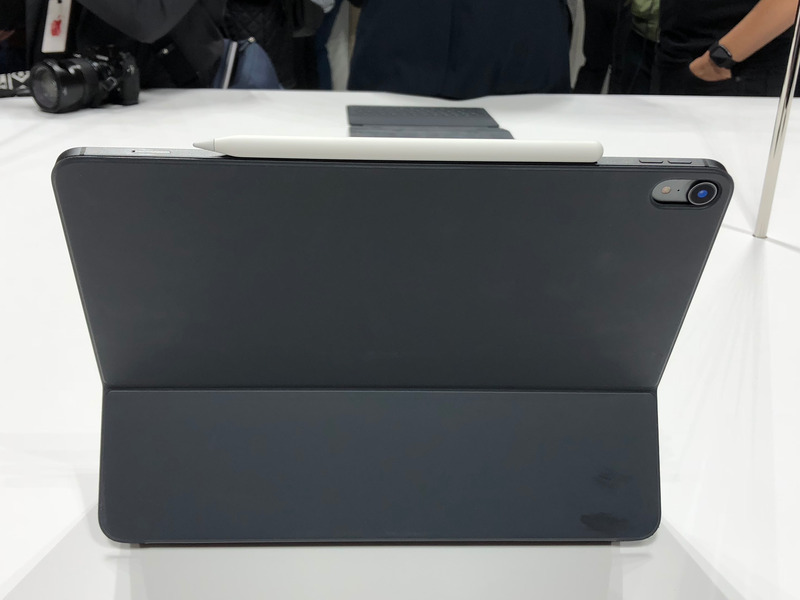 But there’s a fancy new way to charge the Pencil: wirelessly, magnetically clipping it to one side of the tablet in landscape. It snaps into place with a satisfying click. 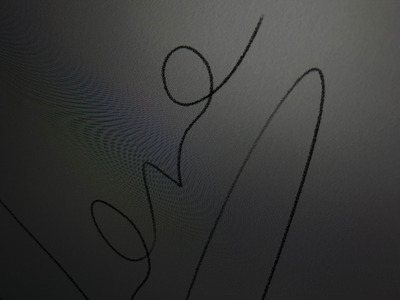 Here’s the icon you’ll see on screen when it’s charging. 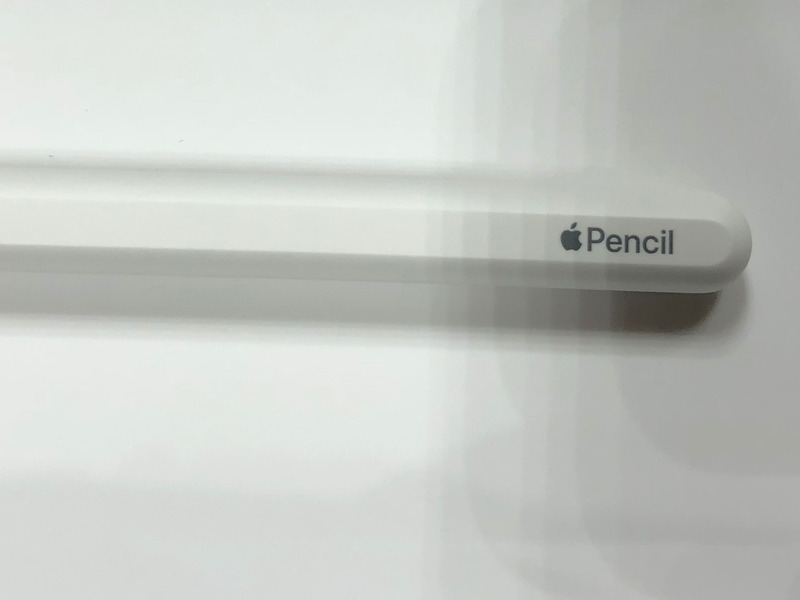 And here’s the marker on the iPad Pro which tells you where the Pencil goes. 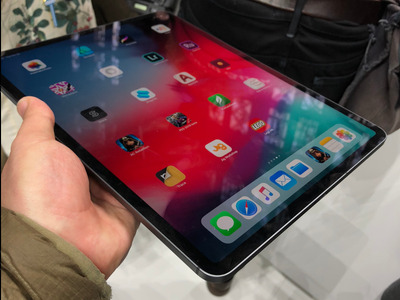 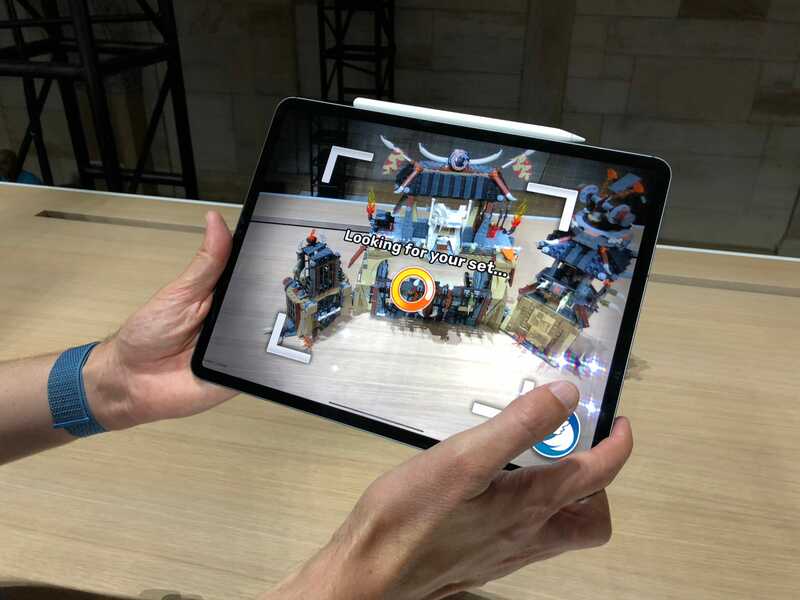 Apple’s upgraded the internals on the iPad Pro so it can do processor-intensive tasks like AR apps. 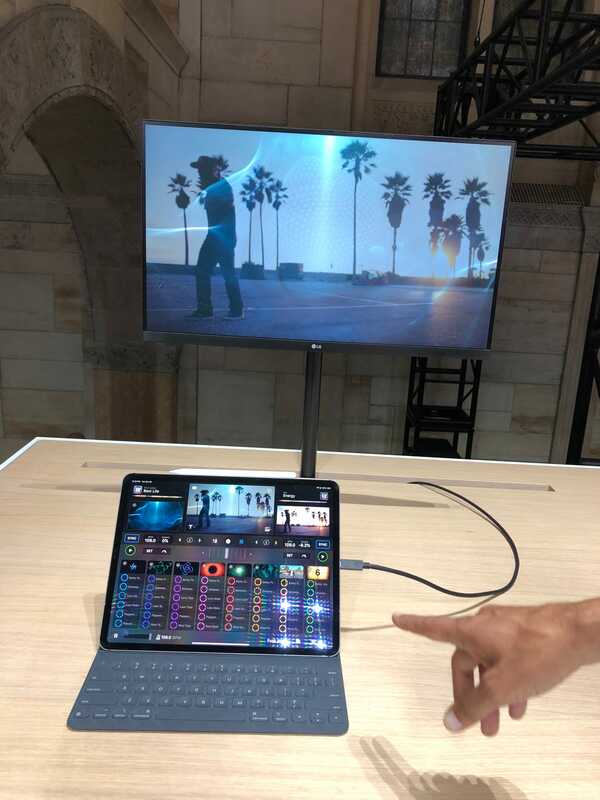 Or DJ. 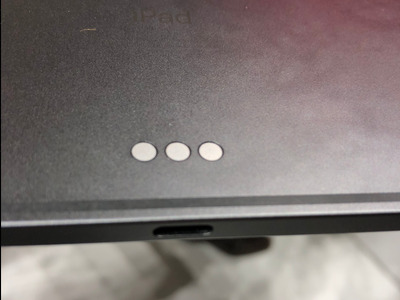 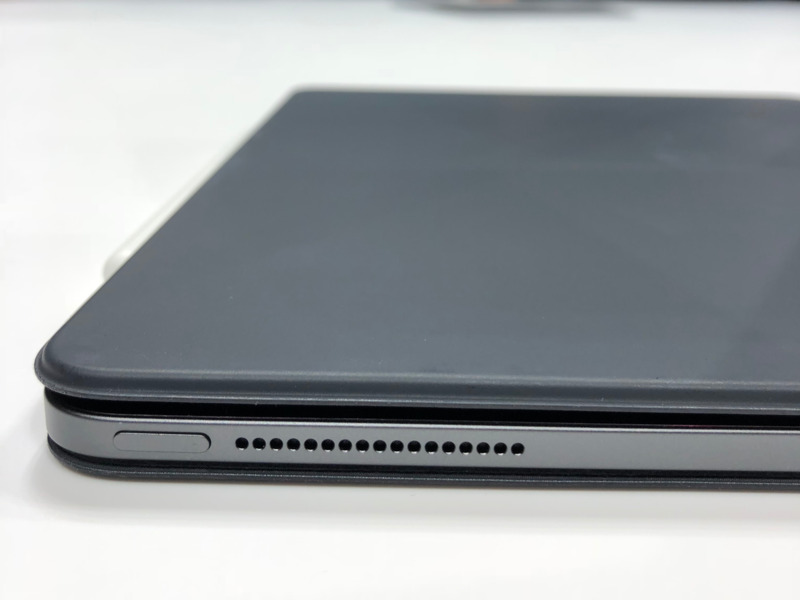 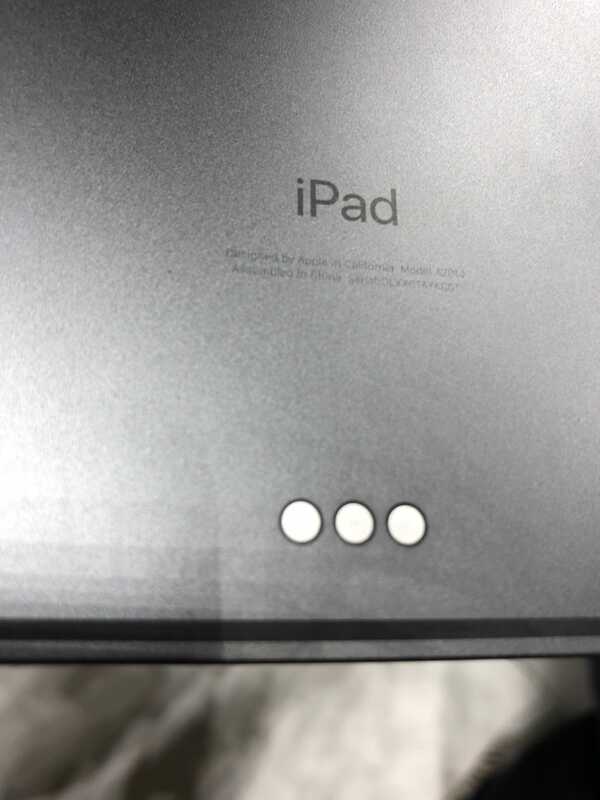 The USB-C port can also be used to hook up the iPad Pro to a computer monitor. Here’s what it looks like when a monitor is plugged into the iPad Pro’s USB-C port. 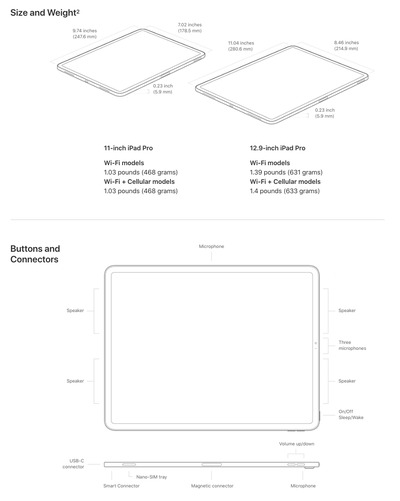 Here’s the dimensions and weight of the two iPad Pros and where all the buttons are — note that there’s no headphone jack, a first for the iPad Pro lineup. Is it worth buying? That’s difficult to say until people really test it out in daily use. 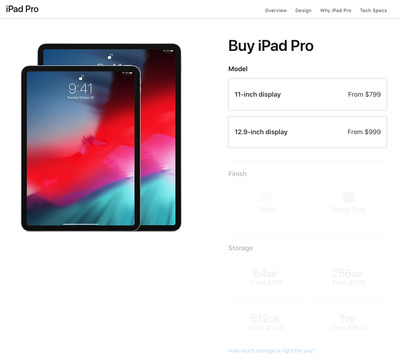 One thing that’s clear, though, is that the iPad Pro is more expensive than before. 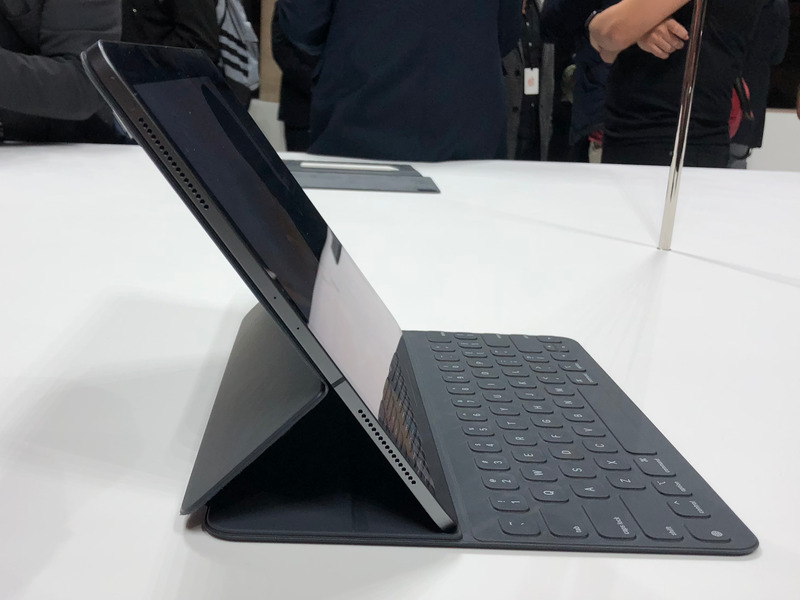 It used to start at $US649 — now the least expensive current-year model is $US799. 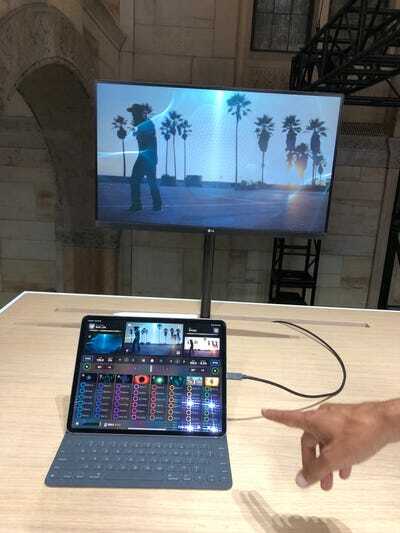 And the keyboard costs $US199. The Pencil will cost you $US129. 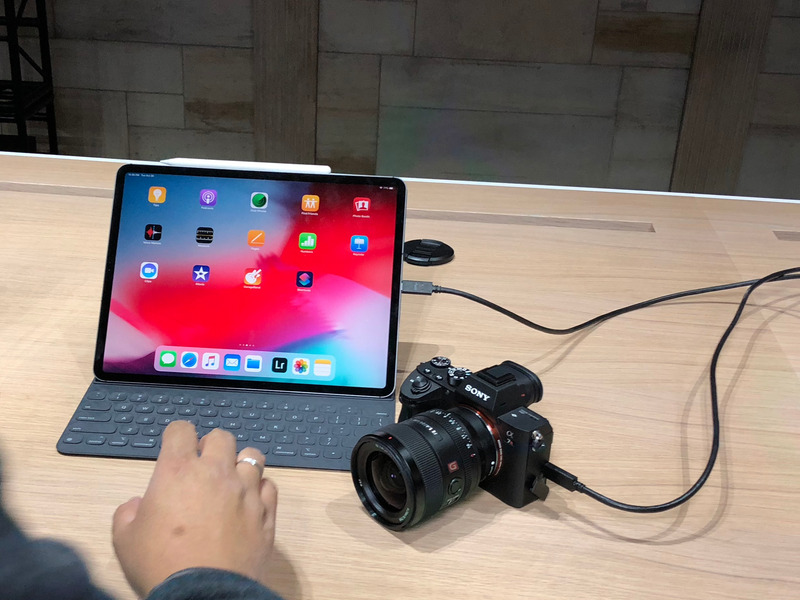 But for that money, you certainly get a high-end “computer” — even if Apple doesn’t want to call it that.